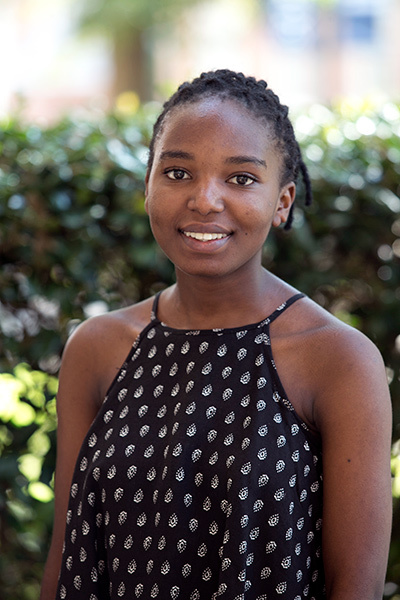 Many Samford students have ambitious summer plans, and sophomore Joyeuse Senga is no exception. Senga, a healthcare administration major from Rwanda, spent her summer as an intern at the University of Global Health Equity in Kigali, Rwanda. Senga was a part of the learning and teaching team. The university’s curriculum is U.S.-based, and part of her job was to find new and better ways to incorporate a Rwandan aspect. Throughout the summer, Senga visited hospitals – rural and urban -- talked to doctors and asked questions about the health care system. She visited communities and talked to some of the residents, learning their thoughts on the system and how it applied to their lifestyle. She saw the work of the community health workers who are assigned different households in a community. These volunteers check on the people’s lives once or twice a week. “Seeing these people doing this all as volunteers was really eye opening,” Senga said. She came into this internship after just one year of classes but said that what she had learned at Samford helped. “The challenge was believing in myself in the beginning of the internship, but as I worked…I learned to contribute and to learn,” Senga said. Additionally, she was selected as a delegate for Rwanda for a summer school program through the United Nations to take place in Geneva, Switzerland. Here she learned about the U.N., attended meetings and discussions, and visited the International Committee of the Red Cross offices. This experience helped her think of the United Nations as comprised of many people, individuals, and not a single entity. Senga is part of Bridge2Rwanda, a program designed to give Rwandan students the opportunity to study abroad. Senga is the second Rwandan to be part of the program at Samford. These students will take what they learn at Samford and return home, serving their country as servant leaders. Samford’s partnership with Bridge2Rwanda is coordinated through the Mann Center for Ethics and Leadership.